I've been trying hard to teach the girls that there is a time for everything. A time to sleep, a time to eat, a time to read, a time to study, a time to do art and craft, a time to watch TV, a time to accompany their baby brother, a time to play and so on. 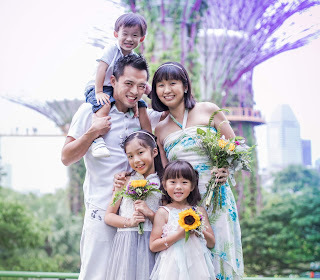 I wanted them to learn to focus on the task at hand, to be less distracted, to make a bit of time for everything, to seek to find a balance in their lives. When we work, we work hard; when we play, we play hard too. Since their childhood years are fleeting, we try our best to add fun to the years while not forgetting that they need to learn new knowledge and pick up life skills along the way. 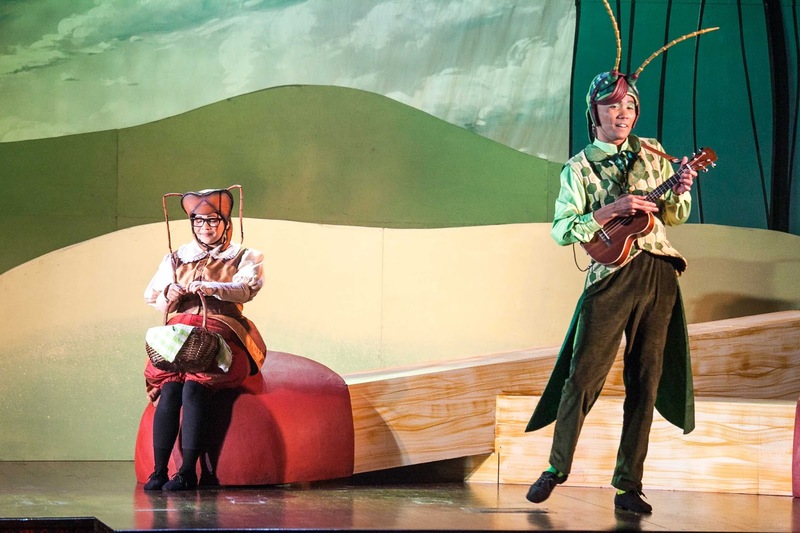 We were very excited to watch The Ant and The Grasshopper, which is based on the classic Aesop's fable, at SOTA Drama Theatre yesterday. The girls have grown to be fond of watching theatrical productions so that is something really heartening for me. While it is still a challenge, and sometimes struggle, to manage the baby when we do so, seeing how the sisters enjoy and benefit from the play gives me the motivation to go on. There lived a hardworking Ant who was always very busy and never seemed to have time for play or relaxation. In the same field lived a Grasshopper, who loved art and music and that was all he spent his time on. The Ant was worried about the arrival of winter and all day long, she would work hard collecting grains and storing them in her larder. She tried to warn Grasshopper who laughed and said "Why worry about the future and waste the sunshine in labour and toil?" Alas, the hot days of summer did not last long and soon, the leaves began to fall and sunshine gave way to snow. 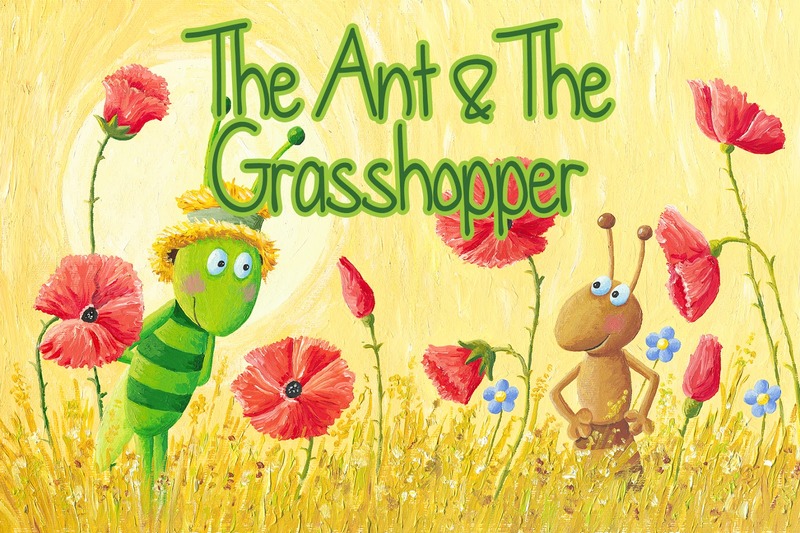 What will happen to Grasshopper then and what will Ant do as his friend? The setting was kept simple and to the point - the tree trunk served as Ant's home, the grass and rocks were where Grasshopper lived, and to illustrate the changing of seasons, you can see huge pop ups of green grass and blooming flowers followed by fallen leaves and icy snow. 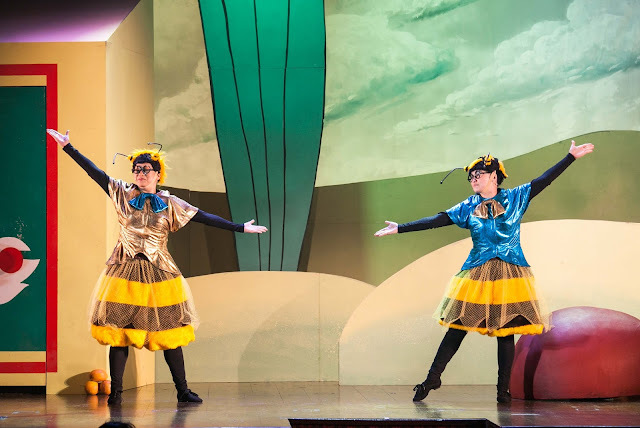 The show began with two unexpected characters - the buzzing Bees - who captivated the hearts of everyone with their chirpy tones, abundant energy and funny antics. My girls were tickled when they kept chanting "Welcome to the Bee show" and insisted that it was their show, not the ant's or grasshopper's. I love how they made the play very light-hearted while still focusing on the key themes and making it a fun-filled session for the audience. As for the Ant and Grasshopper, they portrayed their roles very well and it was contrasting to see one being so hardworking while the other chooses to idle away all day long. 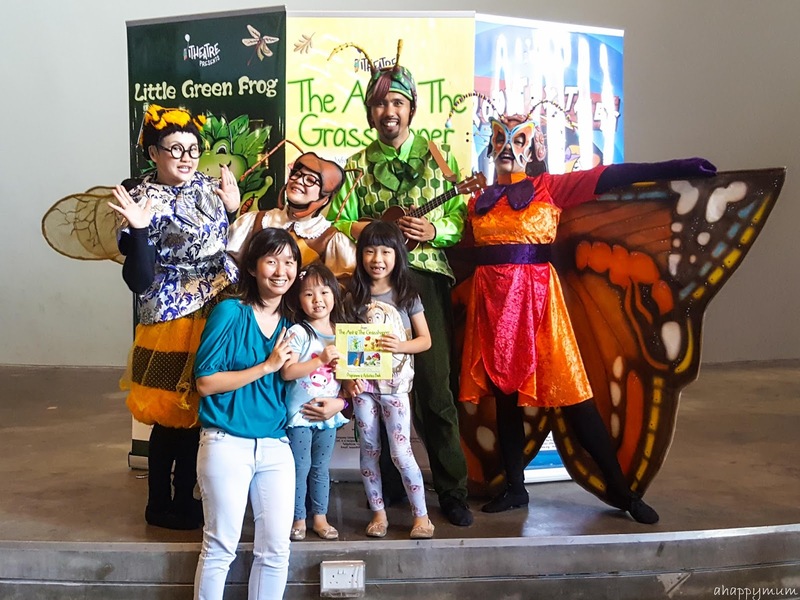 I thought the actors had great chemistry and one of the kids' favourite parts of the show was when Grasshopper got everyone to stand up and follow his dance moves. That was really fun for all of us, even the baby, who alas decided that he wanted more action and started to make noise so the hubby had to bring him out of the theatre. Phew, thankful for his presence and that I got to enjoy the show with the girls in peace! 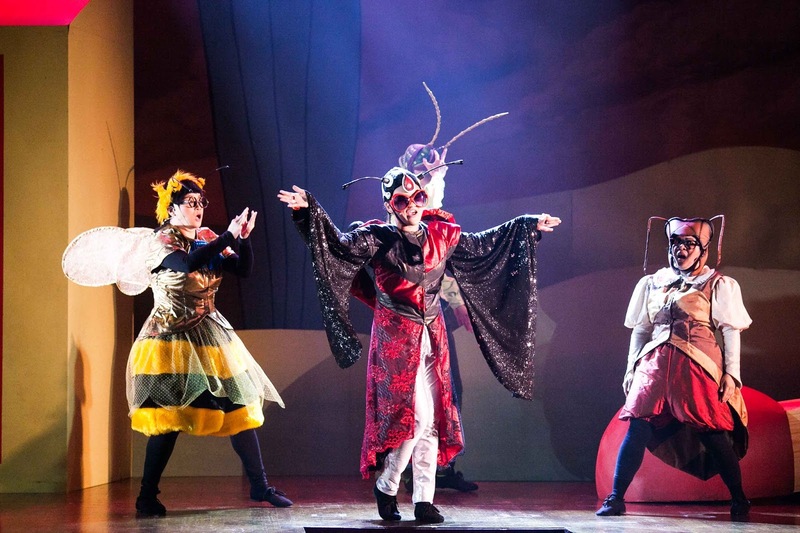 There were also a couple of characters who took us by surprise and they are Lady Coco the ladybird who loved to dance and Nessa the caterpillar who was afraid of change but eventually transformed into a butterfly (these roles were also played by the multi-talented buzzing Bees). They brought about so much laughter every time they came on stage and we ended up enjoying the show more than we expected. While readers of the book might be inclined to condemn the procrastinative behaviour of the Grasshopper or deem that he got his just desserts in the end, the play adds in its unique twists and turns and it makes you wonder. Is it really wrong to slow down the pace of life and be able to appreciate arts and music? 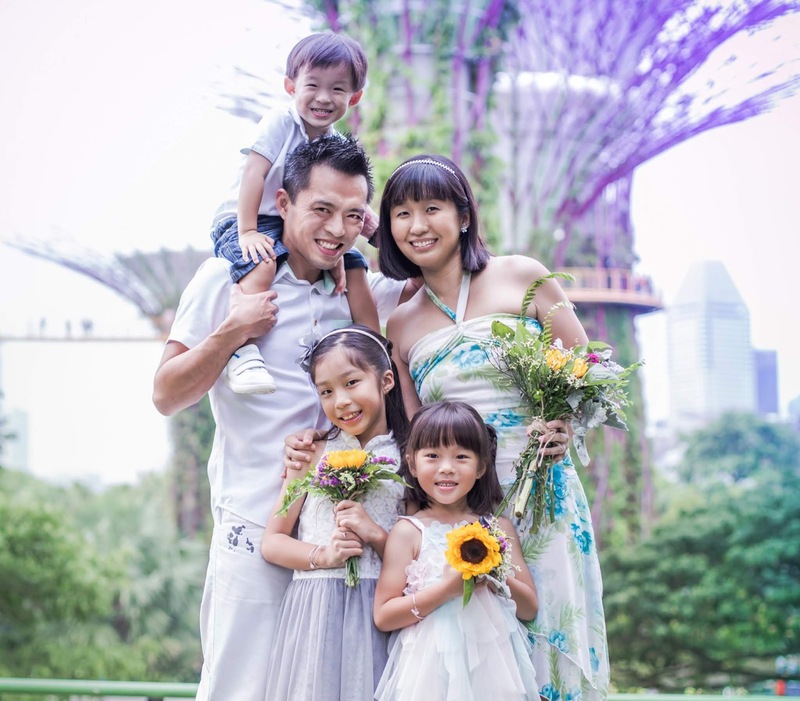 Is life just about working hard and planning for the future, leaving no room for spontaneity? Will hard work truly pay off and does it lead to a life of no regrets or a life of missed opportunities? There is a time for work and a time for play. Life is not just about one or the other; instead it's about balancing both and carving out time to work hard and also to relax and enjoy. Also, take time to appreciate the arts, make music and dance like no one's watching. While it's okay to procrastinate a little from time to time, don't wait to the last minute before you scramble, panic, regret or worse, get yourself in serious trouble. It's better to plan for the future and be prepared; yet we should not lose our ability to be spontaneous in the process. The only constant in life is change and sometimes, it is really inevitable. Instead of being fearful of changes around us, we need to learn to embrace them and make the most we can. We talked about the example of us moving to our new place and Ariel having to adapt to a new school, and I was glad to hear her saying that she loves her new school and is settling down well. So, this play was truly a delight to watch and I love how it explores key themes and seeks to instill values in our children at the same time. Thanks to I Theatre and the lovely cast for the awesome performance! *Note that while children below 3 years old are allowed, all patrons (including babies-in-arms) will require a valid ticket to enter the theatre. Visit any SISTIC outlet, call the ticketing hotline 6348 5555, or book online here. 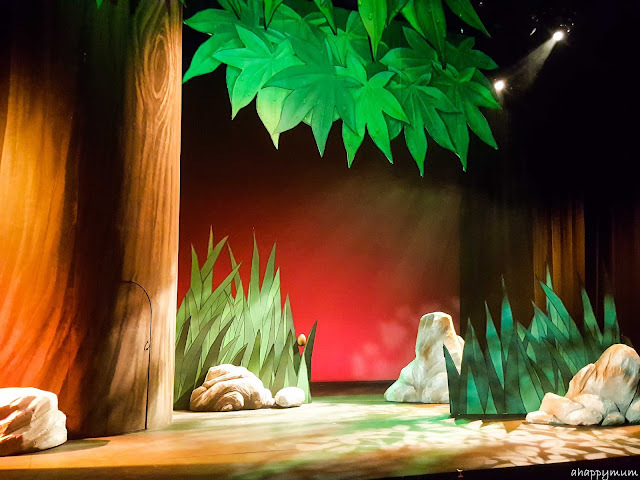 I Theatre is proud to be one of the region's premiere children's and family orientated theatre companies, creating at least four amazing and entertain theatre productions each year; including new never seen before productions and well-loved classics with a new twist. For more details on The Ant and The Grasshopper, visit I Theatre's website here. 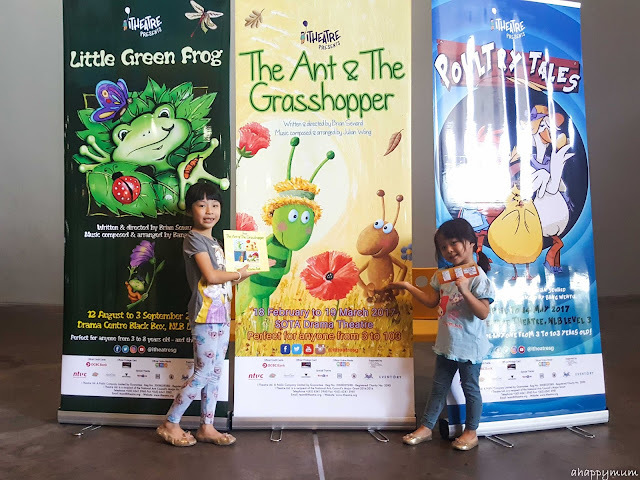 Disclosure: We received a media invite from I Theatre to review The Ant and The Grasshopper. All production images are provided and all opinions are our own.